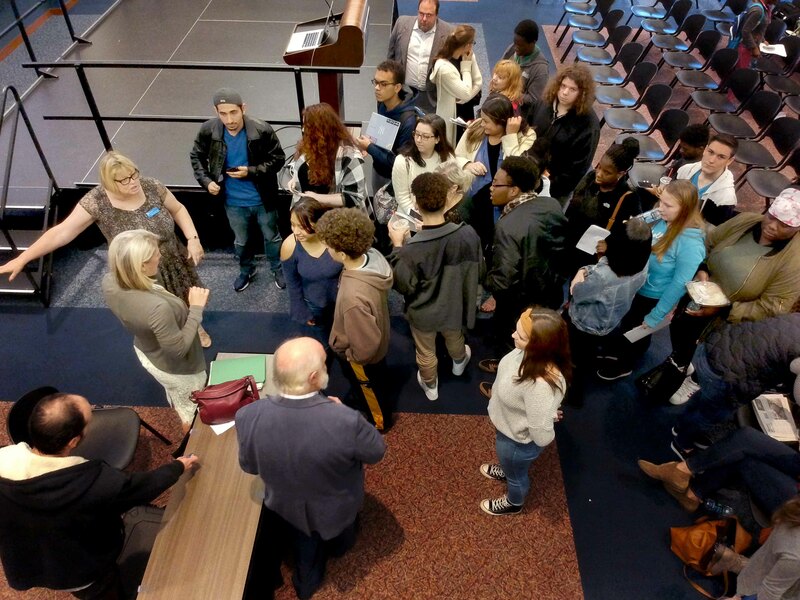 More than 300 high school students heard advice from journalists, including WTNH’s Laura Hutchinson, at the 34th annual High School Journalism Day at Southern Connecticut State University Oct. 27. 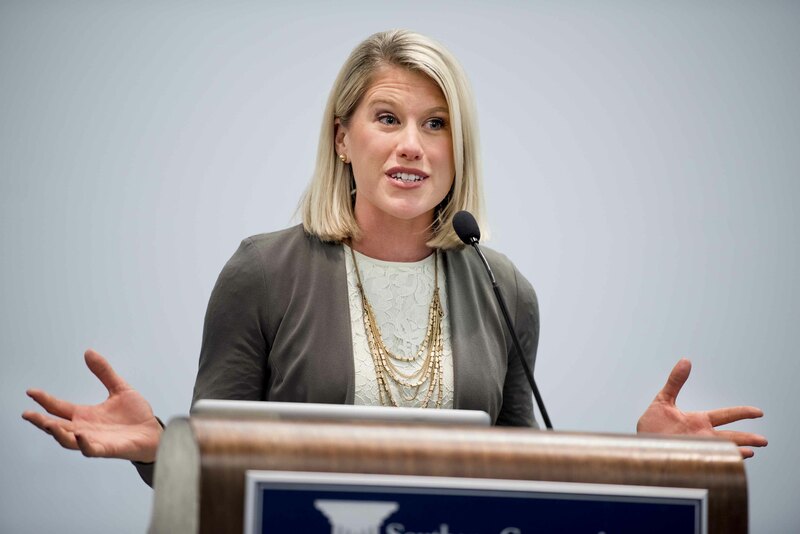 Hutchinson, co-anchor of Good Morning Connecticut, gave the keynote address at the event. Other workshops included sessions on “fake news,” journalistic ethics, sports reporting, website basics, and using Twitter to report the news. 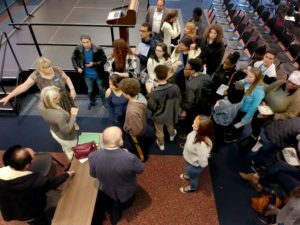 A new session this year invited high school journalism advisers to a roundtable discussion about challenges and solutions at their schools. In addition to faculty members from Southern’s Journalism Program, members from the Connecticut SPJ chapter’s board of directors also hosted workshops at the event. CTSPJ President Mike Savino talked about the importance of the First Amendment, while CTSPJ Vice President Viktoria Sundqvist taught students the ins and outs of tweeting on a beat. Jodie Mozdzer Gil and Liz Glagowski, two Journalism Department members and board members, also presented at the event. Cindy Simoneau, Journalism Department chair, and Jerry Dunklee, professor of Journalism, also represented the CTSPJ board as past presidents. All of the sessions were held in the Adanti Student Center. President Joe Bertolino and Bruce Kalk, dean of the School of Arts & Sciences, each addressed the students as well.